The Swan Mountain Outfitters is pleased to announce a new series of fishing and horseback trail riding combination excursions. Guests will be guided on horseback to a lake to fish for the day. Like all of our other Montana full day fishing excursions this includes: your fishing guide, lunch, fishing lessons, and fishing cleaning and packing (if desired). Plus you have the added benefit of riding a horse to some spots often overlooked in the Swan Valley. Swan Mountain Outfitters offers several daily destinations for our fishing and horseback trail riding excursions. These include Scout, Shay, Bond and Pony Lakes. 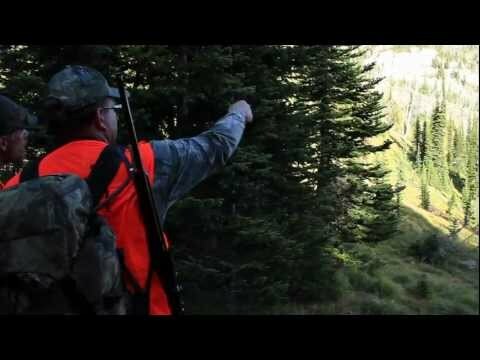 The day begins by meeting your fishing guide/wrangler at the trail head and once you have completed some paperwork and received a safety briefing you will mount up and ride to your fishing destination. 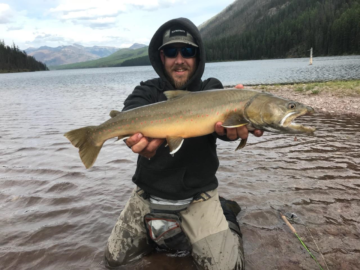 Once you arrive, the guide will unpack the gear that we provide and you have your choice to fish the shore, tributary streams or darn a pair of waders and venture out into the mountain lake in a float tube that we will pack in with a mule. We’ll pack a hearty lunch and refreshment for you. 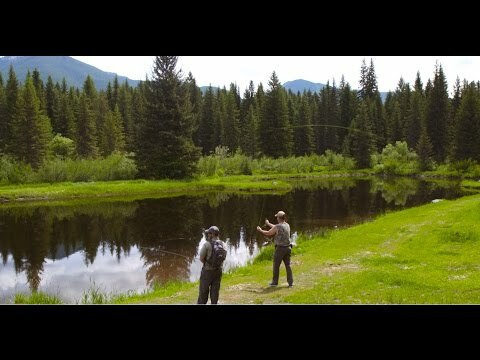 All you have to do is relax fish and enjoy an epic Montana day in the pristine solitude of the Swan Valley!